Every dollar you spend has both short-term and long-term implications - and impacts other parts of your dairy. Do You Understand Financial Statement Basics? 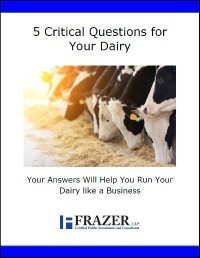 How Does the 2016 ACA Impact the Mid-Size Dairy? Do You Know the Cost of Your Self-Raised Feed?